Teton Gravity Research is celebrating the 21st birthday with a new movie “Tight Loose” awesome skiing. Check out the trailer. With over 21 years of traveling the globe and pushing the boundaries of what is possible TGR have experienced the full spectrum of adventure. It has been a constant evolution of refining a lifestyle – keeping things as buttoned-up on the front end in order to seize the moment when things reach the edge of control. “Tight Loose” looks awesome – from India to Alaska, unridden spine walls, massive airs, and full throttle riding in some of the wildest and most spectacular places on earth. Tight Loose is living to the fullest. 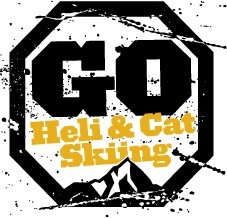 We at GO Heli & Cat Skiing love great skiporn that make or juices flow and psych us up for winter and Ruin and Rose from MSP films seems to to just that. Shot in Alaska to Austria to British Columbia to Bulgaria to California to France to Switzerland to Namibia -Yeah Namibia how awesome isn’t that. Stacked with big names like Mark Abma, Sammy Carlson, Markus Eder, Zack Giffin, Sander Hadley, Russ Henshaw, Eric Hjorleifson, Lukas Joas, Sean Jordan, Bene Mayr, Evan McEachran, Michelle Parker, Ole Pavel, Tanner Rainville, Austin Ross, Fabio Studer, Cody Townsend, Noah Wallace and then some,, Will premiere in the States in mid September. We can’t wait to see the full length version, till then we probably will watch this a thousand times or so.